Today I am grilling at my apartment with my husband, our roommate, my old roommate, and my old roommate’s boyfriend (who was also my old roommate). Does that sound confusing? We are grilling white hots, which is a western New York specialty (my old roommate hails from Rochester, NY). 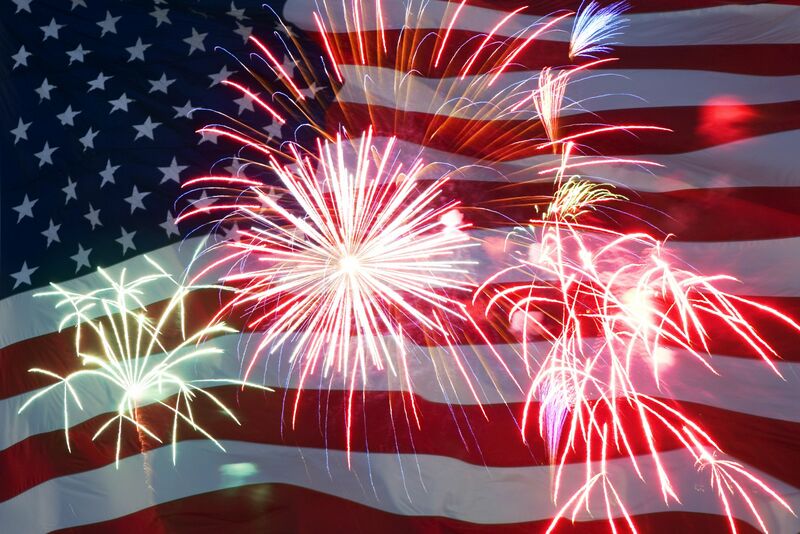 Later tonight, we’ll find a good place to settle in and watch the fireworks – that’s my favourite part!! In any case, earlier this week I made baked chicken chimichangas from Cinnamon Spice & Everything Nice’s blog that I recently stumbled upon. They were delicious. And spicy. I reduced the amount of chili powder and cumin that the original recipe called for, but I included a jalapeno pepper (but I de-seeded and de-ribbed it). My poor husband’s plate, at the end of the meal, had a little mound of green pepper bits. He was very sweet about it and ate the entire meal (except the peppers). 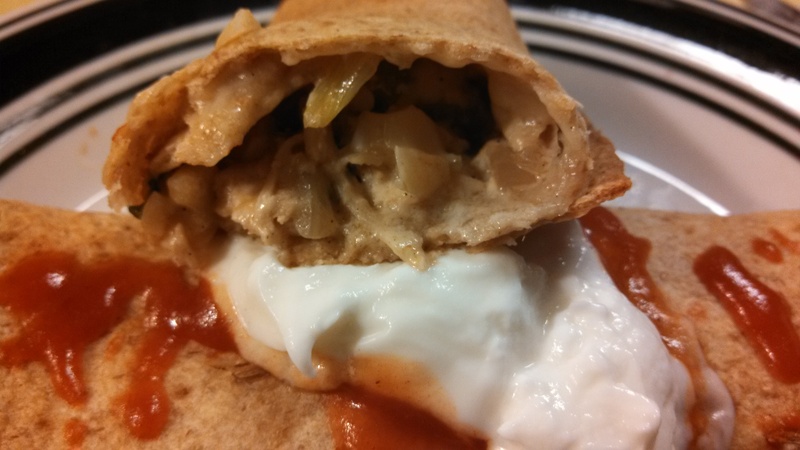 Despite this, it was a really yummy dinner and, similar to the baked creamy chicken taquitos, completely baked! Ok, well, the filling is partially fried at the beginning, but frying the filling uses far less oil than frying the entire chimichanga. Click this link to see another recipe for baked chicken chimichangas I’ve made, that were also incredibly tasty as well as somewhat healthy! Bottom line: you can’t go wrong with chimichangas. 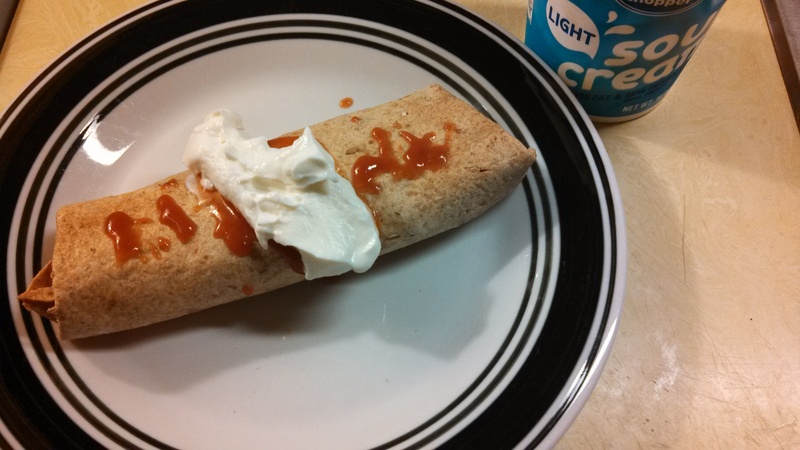 WW value per chimichanga: 10-11 (this includes sour cream and salsa garnish). -Preheat oven to 425 degrees, and spray baking dish with cooking spray. -Heat 2 tablespoons oil over medium-low heat in a large skillet and cook the onion, garlic and jalapeno until soft. Mix in the chili powder, cumin, dash of salt and pepper, cook 1 minute. -Add the chicken and cilantro, mix well, then stir in the sour cream. Remove from heat. -Spoon chicken mixture down center of each tortilla, add cheese, fold ends in, roll up, and place seam-side down in the baking dish. -Spray the top of each chimichanga with additional cooking spray (or use butter spread, but will affect your WW points), and bake for about 15 minutes. -Serve hot, with your desired garnish.